Using ShopTheory, you can sell immediately all kind of products. It isn't necessary any installation because all functions of your e-commerce are connected into a small script. 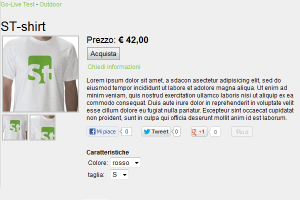 You copy & paste the embed code and launch your customized e-shop! 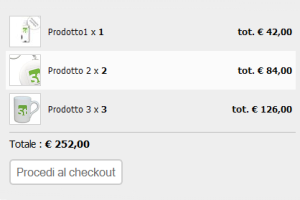 You can manage your new e-shop using a easy control panel. At the same time, you can supervise the orders' status and the consultation of your available products. Are you finding a powerful e-commerce system? You are finding ShopTheory! 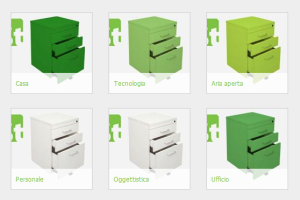 You can customize your e-commerce using many showcases, available in different languages. The same showcase can be used in different websites, or social networks (*coming soon), or blog and in every location where you can insert a embed code. It's a perfect platform for the mini website that sells a particular kind of product. ShopTheory is easy to use and to manage. You can use an intuitive control panel to complete many operations (for example, the restyle of your e-shop), without insert any particular permissions. The showcases are classified into 4 different families: the lists, the detail, the hand-cart, the navigation. Try it now: Sign up and open your e-shop! The control panel permits you to create every kind of showcase, without any limit. It's possible to choose a particular layout and you can customized many related features. You can choose the image's size, you can detail which information will be visible online (price, availability, etc...) and many more features. Now, ShopTheory accepts offline and online methods of payment. On one hand, if you pay online, you can use Paypal. On the other hand, if you want to pay offline, you can use a bank transfer or a cash on delivery, when the product is delivered to your customer. You have to configure your IBAN code and the borrower of the bank transfer if you want to pay using the offline methods. Instead, if you want to use Paypal you can start the "Test" option, to simulate the purchase's process. Our team wants to develop many other methods' of payment. If you need a particular one, you can communicate us all your necessities! ShopTheory allows you to program the methods of dispatch of your purchases. For example, it's possible to specify that you want a free dispatch in your city, or the hand collection of a product. If you want, you can specify a particular method for a particular location (island, hinterland, North or South of Italy, foreign countries, etc...). Moreover, it's possible to differentiate the shipping costs depending on the amount of the ordered products. In this operation system there isn't any limit of uploading. You can insert unlimited products and images. You can create endless variables (for example, size clothing, etc...) and you can insert all kind of feature, that will be available for the visitors (for example, the velocity of a processor, the quantity of a RAM, etc...). The management of the categories can be totally customized. Indeed, you can establish a general method of payment and you can create a specific chain of categories (micro-categories and macro-categories), at the same time. The summary of the actual orders is always available on ShopTheory. Every order can be analyzed, consulting its process. At the same time, the order can be modified, if the customer send you a specific e-mail. At any time, the retailer can get in touch with the customer by mail, too. In this manners, ShopTheory becomes a fast and quick tool to establish a relationship between the retailer and the customer and allows you to optimize the orders' management. If you haven't automatically set up a particular method of payment (es. Paypal), you can establish a specific method of payment for every order. 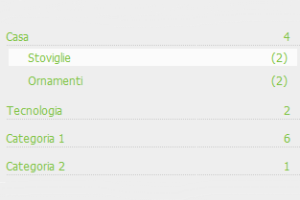 On the dashboard you can consult all the most important event of your e-shop. An order, a payment, the availability of a product are some of all the features that are visible on your dashboard! ShopTheory can be indexed, as a traditional website. For example, if you've 1.000 products to sell, the search engines can index more than 1.000 pages. 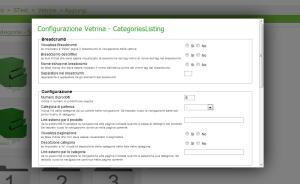 Our team has automatically arranged the meta tags, that is optimized for the products and for the categories. In any case, it's essential to do some SEO action, that can increase the level of indexing into the most famous search engines. ShopTheory allows you to manually set up the meta tags for the products, the categories and the showcases. You can increase your visibility using the social buttons. With ShopTheory, you can customize the consultation of the sharing buttons, on the most famous social networks: Facebook, Twitter, Pinterest, Google+. From the beginning, ShopTheory shores up the integration with Google Analytics. You can insert the publisher id to start the tracking functions. 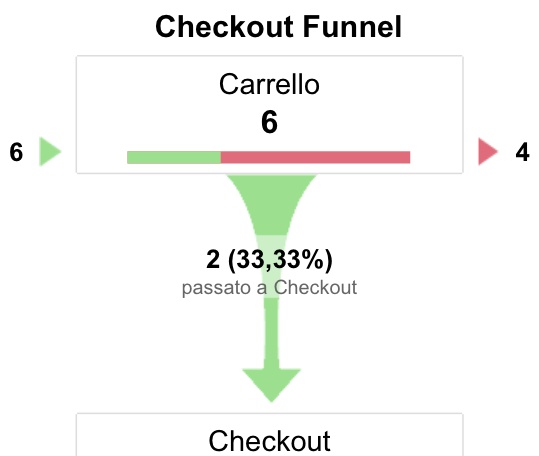 The integration between ShopTheory and Google Analytics allows you to mark all the actions of your hand-cart and of your real orders and supplies all the related information: the purchases, the process of making an order, the marketing campaigns. Now, ShopTheory is in it's beta testing stage: it's completely free. In the future, our team will develop more advanced functions to manage the orders, the payments, the advanced features related to the purchases and the creation of a particular showcase. In any case, all the feature actually free will remain free also in the basic version. With our API you will be able to integrate your information system and do a lot more!